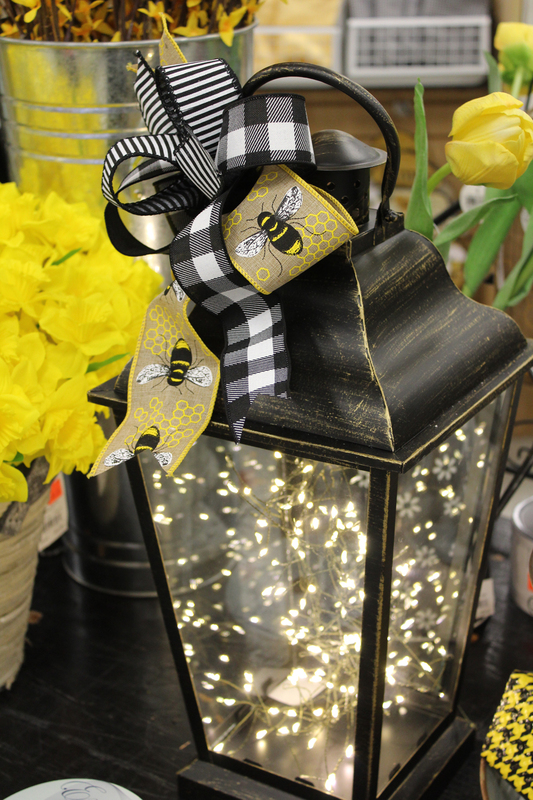 Add a pop of bright yellow to your home decor with a metal bee. It goes well with the farmhouse enamelware shelf that just arrived from our warehouse. Bee ribbon pairs well with the solid yellow, solid black or the black and white ribbon. 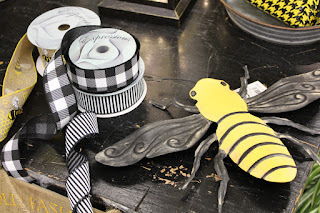 This would make a cheery statement on a wreath at your front door. Use a combination of the ribbons to make a bow for a lantern filled with Firefly lights - it's a great table centerpiece. 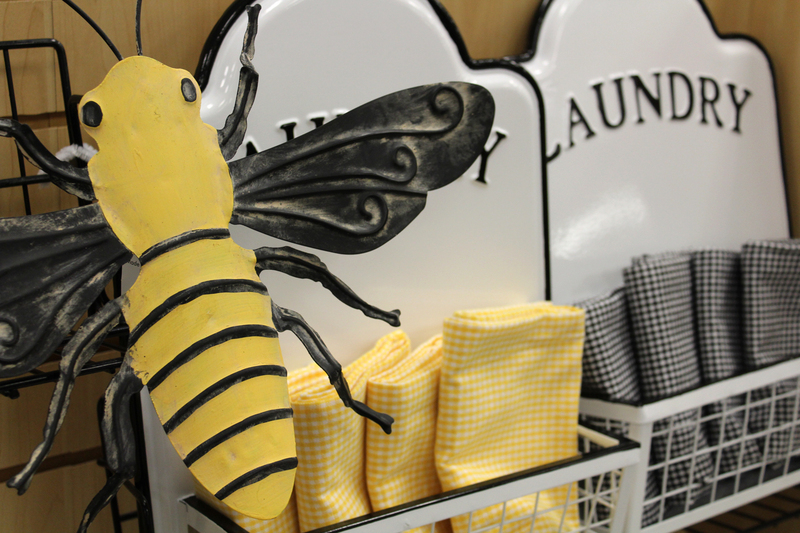 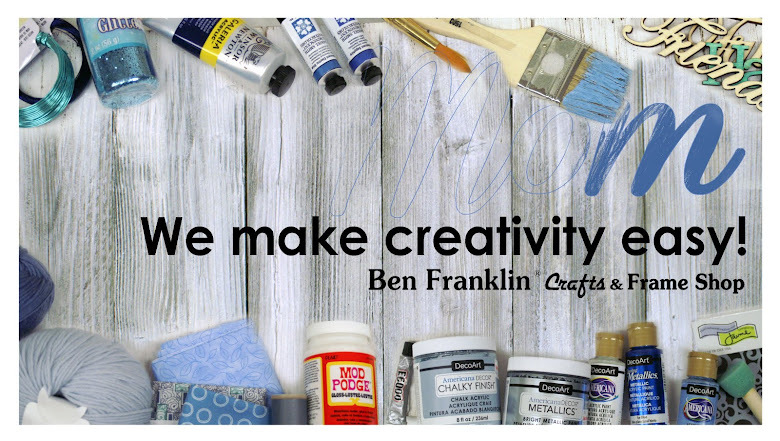 Stop by to see the new home decor in our store soon.